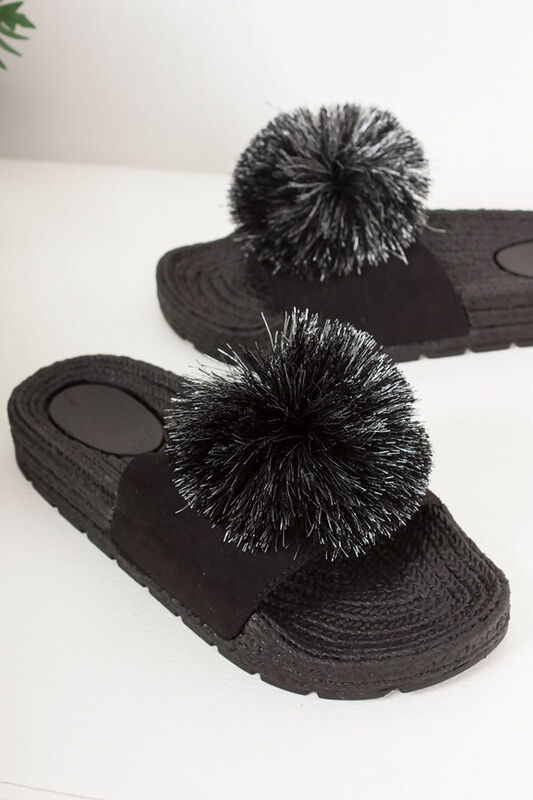 Slide your new style in to espadrille sliders this SS19 season! 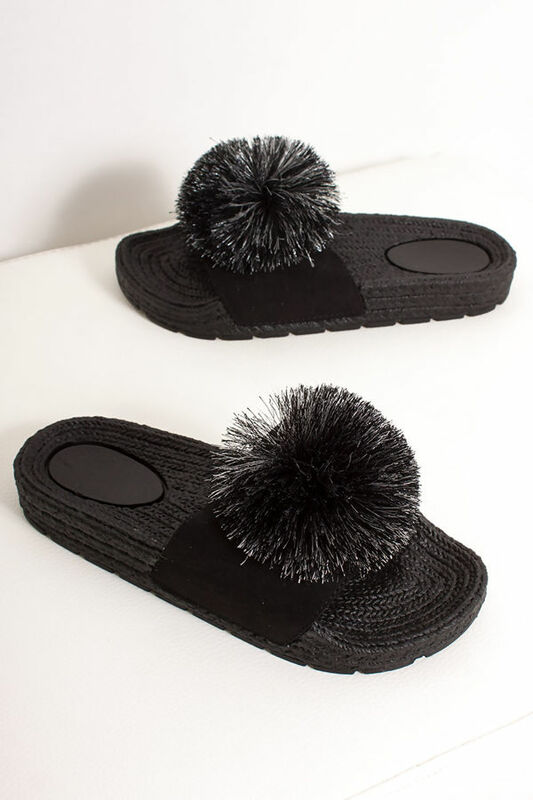 Featuring a black and silver tassel pom pom strap detail that is sure not to be missed, a faux suede strap and a espadrille style sole! These sliders would look hella cute styled with your favourite loungewear and denim jacket!